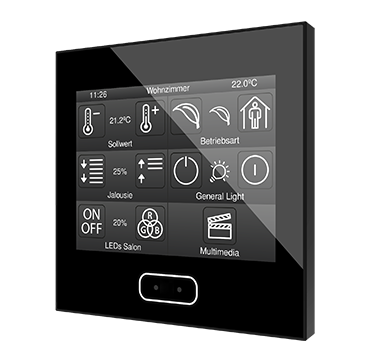 Capacitive touch panel with a backlit 3.5” display, proximity sensor, internal temperature probe and thermostat for two independent areas. 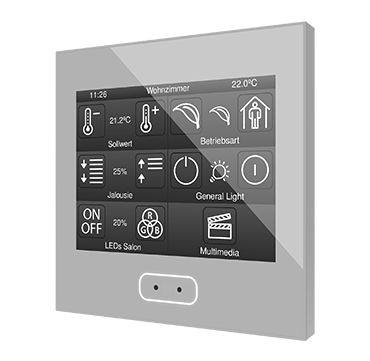 It is able to contain up to 42 controls/indicators, distributed in up to 7 pages with a navigation menu. 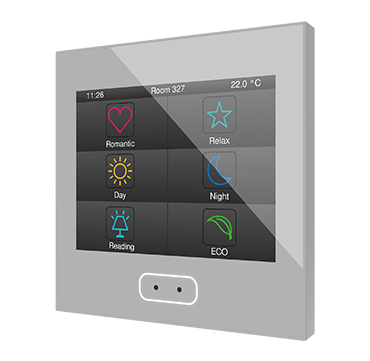 A screensaver with date, time and/or temperature is set when the touch panel is not in use and the menu is shown automatically when the user approaches thanks to the proximity sensor. 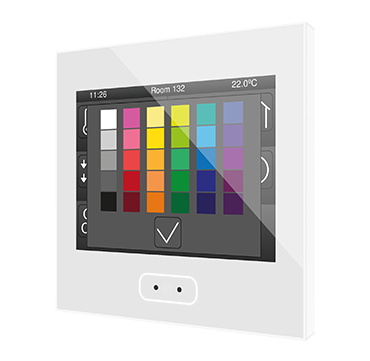 Its brightness is regulated by the ambient luminosity sensor included. 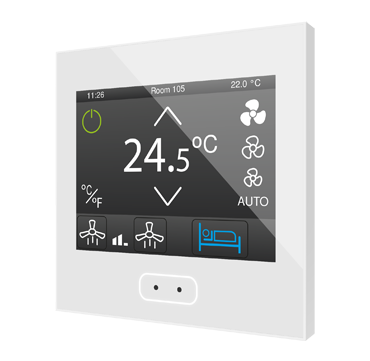 In addition, it incorporates 4 analog-digital inputs that may be configured as binary inputs for sensors and potential-free push buttons, as temperature probe inputs or as motion sensor inputs. Available in White, Anthracite, Silver and Gloss White. Accessories: temperature probe, motion sensor.